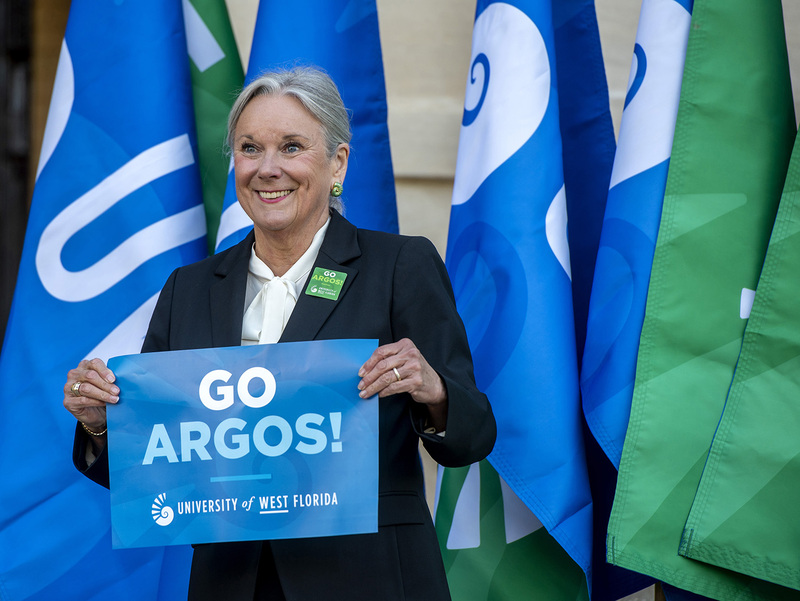 For the second year, the University of West Florida will honor traditions, engage in the community and celebrate the future of the University during its annual Founders Week, which will be held April 13-18. 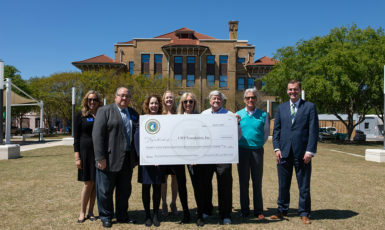 Founders Week is a weeklong celebration that serves as an opportunity to bring the UWF family together, welcome alumni and visitors to campus and give back to the community. Founders Week will get underway with Day of Play at UWF on Saturday, April 13. Beginning at 11 a.m., members of the community are invited to the UWF Sports Complex for a day of fun-filled activities including the Little Mile and Argo Mile races, bounce houses, laser tag, video games, karaoke, vendor booths and yard games. At 1 p.m., UWF’s softball and baseball teams will play Lee University at Jim Spooner Field and the UWF Softball Complex. 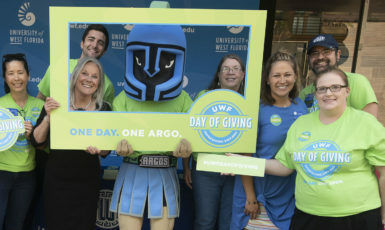 UWF’s Day of Giving, a 24-hour fundraising event, will be held on Thursday, April 18. Day of Giving is an online, social-media-driven effort that supports the University and its programs. Alumni, students, parents, faculty, staff and friends are invited to make gifts online at dayofgiving.uwf.edu or on campus, directing their contributions to any of the 14 featured funds. The goal for the initiative is to bring all Argos together on one day and make a lasting impact for current and future students. Last year’s inaugural Day of Giving raised more than $113,000 from over 1,200 people. For more information about UWF Founders Week and information on each event, visit uwf.edu/foundersweek.